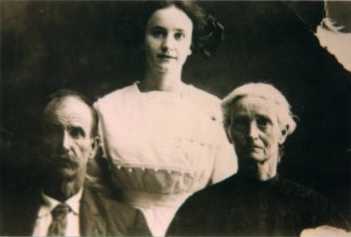 Ike and Martha Ann Yoakum with daughter Bessie. ca 1914 Martha Arm Yoakum loved to fish! Granddaughters Anna Yoakum Stubbs and Fern Yoakum Dauterive both tell of Martha's keen love of fishing. Fern tells of a time in her childhood when she and her grandmother Martha had finished their chores and went off down the hill, near the great White Rock to fish in the river. Declared Fern, "Grandma Martha would rather fish than eat!" Anna said her father, John Yoakum, spoke of Martha often taking him with her to catch a mess of Blue Gill in the Little Piney River. "The strong presence of Indian blood in the family comes from many sources. I have been told that two of the women marrying Yoakum men in the 1800's were full blooded indians; the one Cherokee and the other Osage. Though not proven yet by acceptable documentation, stories and pictures of the children of Isaac Rite and Rachel Clark show people with substantial degrees of Indian blood. Nellie's children had the physical characteristics of the Cherokee and Irene Yoakum has been described as a beautiful woman who possessed the classic features of our Indian ancestors." 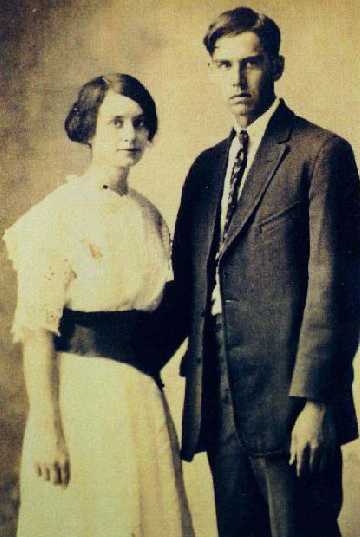 Bessie Yoakum and husband Arthur "Field" Norris. This information has been heavily suppressed as it wasn't PC to be of mixed blood. Before her death, Nellie declared publicly her grandmother was a full blooded Cherokee. Irene was the first to tell me of our Indian heritage and she was adamant that no matter what else was said - ".. .they were trying to hide the connection", and she "spoke the truth". When Ike lost Martha Ann in October of 1921 he auctioned off much of his farm equipment, a clear signal he was ending his serious farming days. The loss of his wife left him a lonely man who frequently hitched up team to wagon and slowly drove the 30 miles or so to Willow Springs where Nellie Yoakum Shryock and Myrtle Yoakum Norris, two of his daughters, lived with their families. In the course of the next year, on these visits to Willow Springs, Ike met a widow named Martha Alice Dewitt. By the end of the socially acceptable year of waiting, Ike and Martha Dewitt were married on Monday, October 30th of 1922, in Willow Springs. 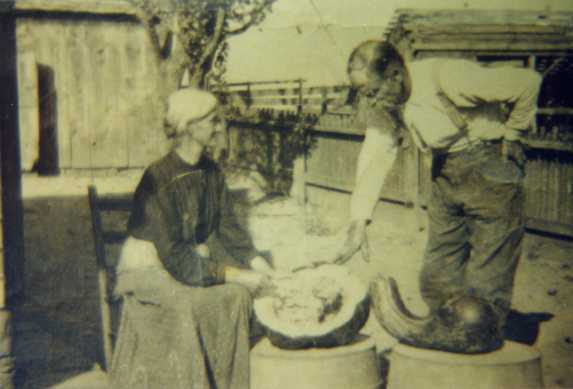 They lived on the Yoakum farm at White Rock. Ike failed in his efforts to reassure his children he still loved their mother. 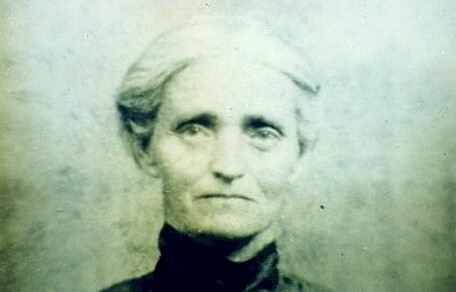 One son forbade even the mention of Martha Dewitt Yoakum's name in his home, so strong was his disapproval. But the marriage would last another 9 years before Ike died on December 8th of 1931. 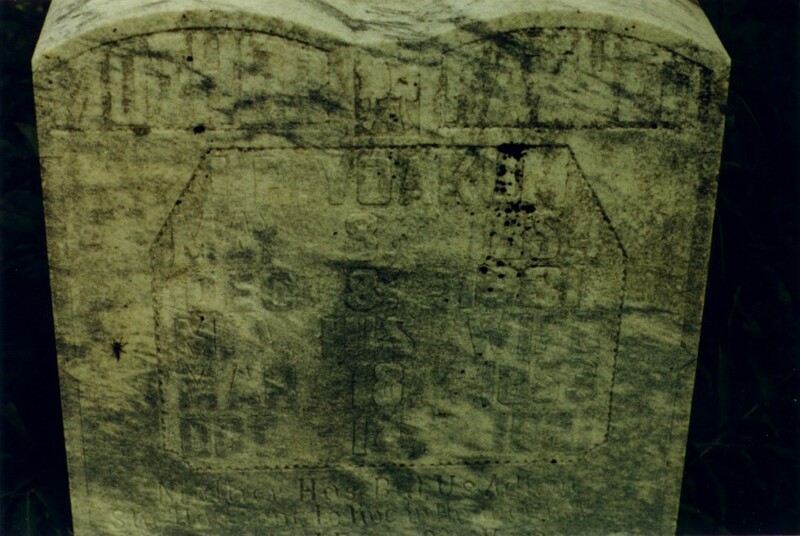 Ike and Martha Ann (first Wife) are buried side by side. Gravestone of Isaac Rite Yoakum b.1854 d.1931 - Wolford Cemetery, Clara, MO. 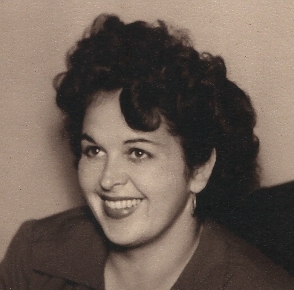 Nellie recalled living with her parents at White Rock on the old Ike Yoakum place, then in Clara, then nearby Bucyrus (where she met and married Frank Shryock). Around 1910 they moved to Willow Springs, Howell CO. MO. As a baby, Nellie contracted diphtheria, her mother, at wits end, took the advice of a neighbor and split a red pepper lengthwise, filled each half with vinegar and carefully bound the halves to each side of her throat. Nellie said "It sounds like a fairy tale but the Diphtheria vanished completely...(I'm) the proof standing here before you today"!